This midi dress is a must-have for the party season. 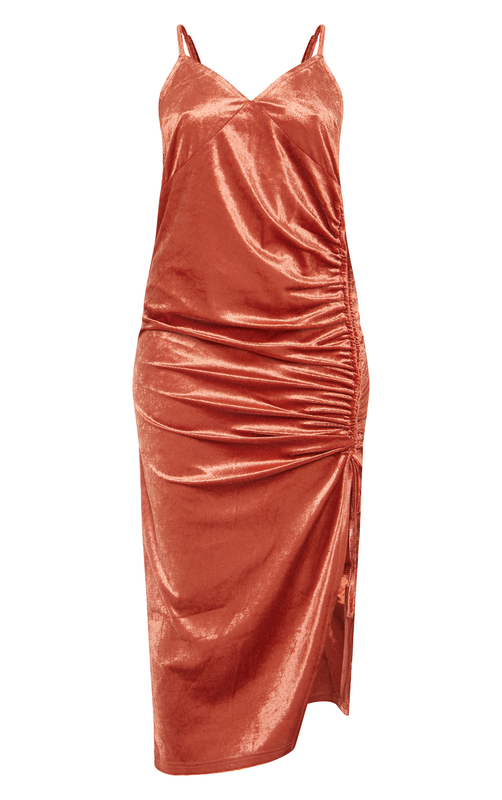 Featuring a rust velvet fabric and a ruched side, whats not to love? We love this styled with gold strap heels for a boho vibe.